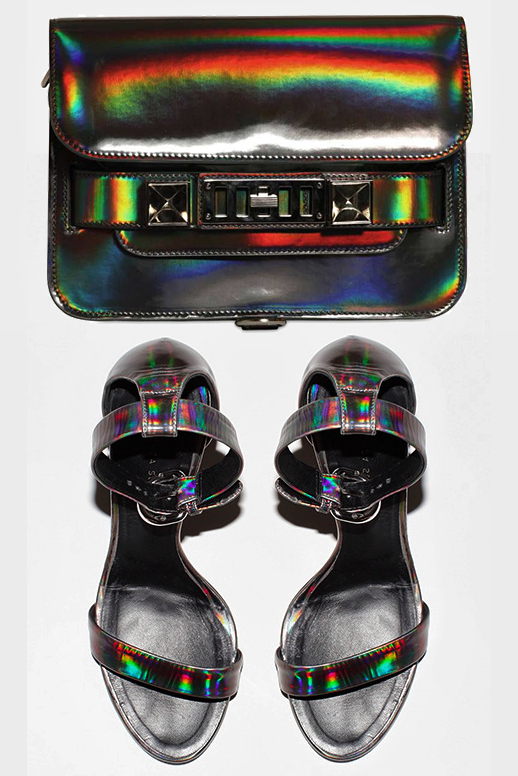 How friggin cool are these metallic hologram Proenza Schouler pieces?! Love the way they are styled in the first photo. I came across them while searching for Pinkhorrorshow's credit card case after spotting it on instagram- it's a great holiday gift idea. You can pre-order the PS11 mini bag here, here + here. The heels can be pre-ordered here. Other PS holograph accessories, including the credit card case, can be found here + here.